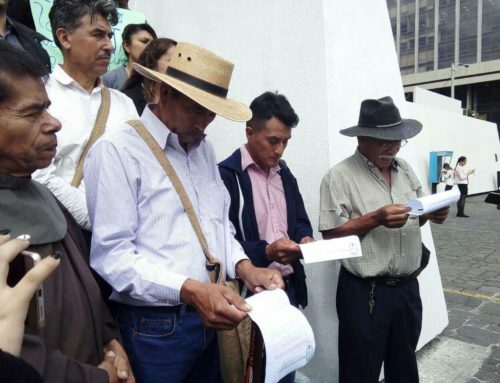 (GUATEMALA CITY/OAKLAND/TORONTO) – The US Security and Exchange Commission (SEC) is being asked to investigate a Canadian mining company with offices in Reno, Nevada and operations in Guatemala. 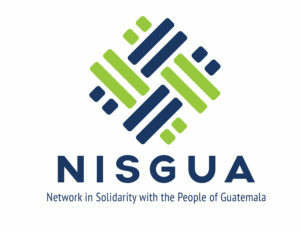 The Justice and Corporate Accountability Project (JCAP), based in Canada, will submit a thirty-five-page report on behalf of the US-based Network in Solidarity with Guatemala (NISGUA) and the Guatemala-based Diocesan Committee in Defense of Nature. The report asks the SEC to determine whether Tahoe Resources Inc. has failed to meet legal requirements for disclosing human rights abuses and failed to disclose lawsuits that impact the Escobal mine. 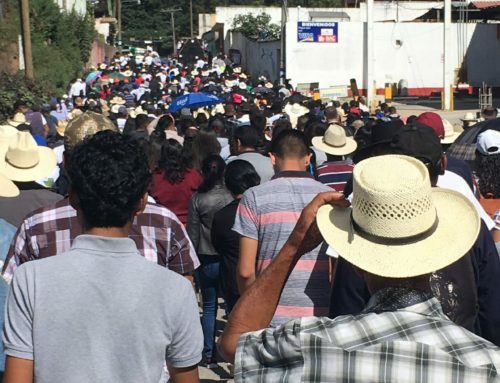 Tahoe claims strong community support for its Guatemala mine, but the JCAP report says that Tahoe’s annual report shows that opposition is so severe that it cannot connect its mine to the main power grid. The SEC will determine whether Tahoe provided misleading information to investors. 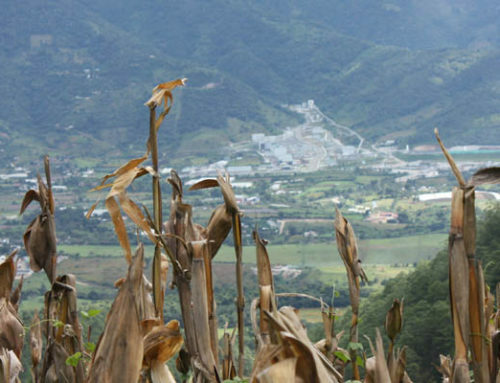 Tahoe denies responsibility for the threats and deaths surrounding its Guatemala mine, but seven farmers who were shot by Tahoe’s private security guards in April 2013 are suing Tahoe in British Columbia. The head of security for Tahoe, Alberto Rotondo, was charged, but escaped while awaiting trial in Guatemala. He was recaptured in January 2016 in his native Peru. Shin Imai, professor at Osgoode Hall Law School in Toronto, discovered the lawsuits brought by Tahoe to the Constitutional Court of Guatemala. “I was surprised to find that behind the scenes, Tahoe and mining supporters were bringing lawsuits to try to stop communities from holding referenda on mining. 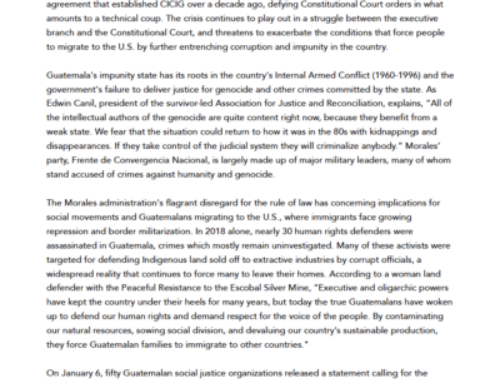 Even more surprising was the secret lawsuit against the President of Guatemala and a half a dozen other government agencies asking for protection from protesters who were impeding the project.” The JCAP report says that Tahoe has not disclosed any of these lawsuits, and this failure may contravene US law. For a backgrounder on Tahoe Resources and the basis for the SEC complaint, click here. Copies of a summary of the report and the full report are linked here: Cover letter and SEC Disclosure.